Carter said the United States was “the most warlike nation in the history of the world” due to a desire to impose American values on other countries and he suggested that China was investing its resources into projects such as high-speed railroads instead of defense spending. 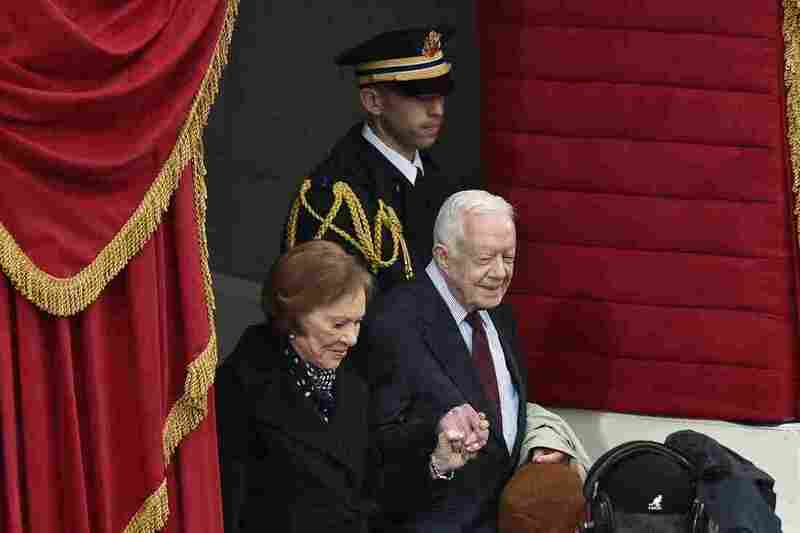 “We have wasted I think $3 trillion,” Carter said, referring to American military spending. “China has not wasted a single penny on war and that’s why they’re ahead of us. In almost every way. The former president said he understood that Trump is worried about China surpassing the U.S. as the world’s top economic superpower. “President Jimmy Carter wrote President Trump a beautiful letter about the current negotiations with China and on Saturday they had a very good telephone conversation about President Trump’s stance on trade with China and numerous other topics,” said the statement, which wasn’t attributed to spokesperson. Much of Carter’s Palm Sunday lesson was focused on peace and kindness before an audience that was mostly comprised of visitors, many of whom had lined up overnight for the service.